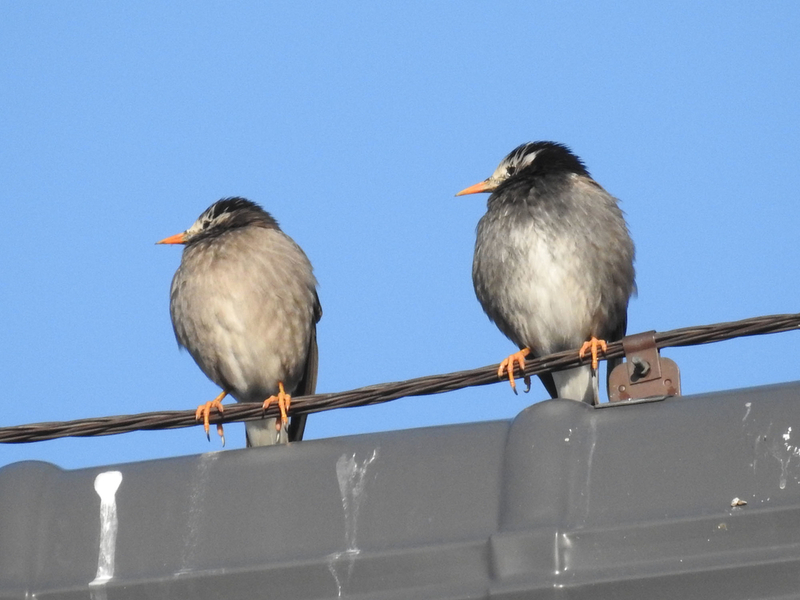 Top > Birds > White-check Starling: Why they are treated as a harmful bird? What bird is White-check Starling? "White-check Starling" is common wild bird in Japan. They are sometimes treated as a harmful bird. But, they are cute and interesting bird. So, I'll introduce the charms of them. Why they are treated as a harmful bird? White-checked Starling (Spodiopsar cineraceus) is living in eastern Asia. It is common wild bird in Japan. They are called "ムクドリ (Mukudori)" in Japanese. The female body color is lighter than the male's color. White-checked Starling likes the open space. So, they originally lived in farmland, and forest around there. They are a useful birds for farmers, because they eat pests. Many farmers thanked them before. White-checked Starling adapted to the city and town recently. And they are treated as a harmful bird. The farmers are decreasing in Japan. In particular, at an urban area. 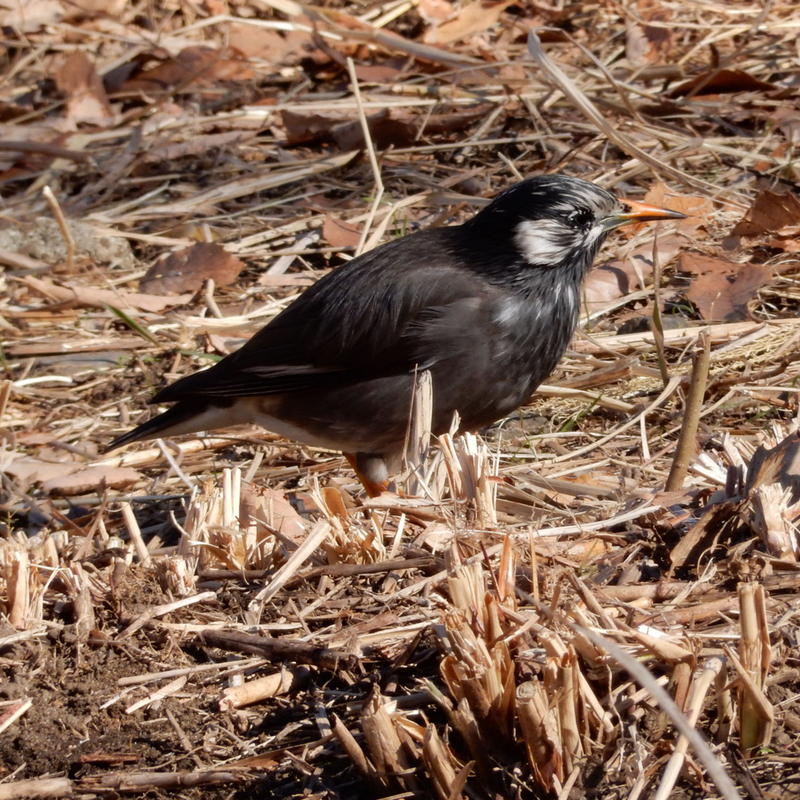 As a result, White-checked Starling was unfamiliar with many japanese people who live in city. "Muku" of "Mukudori" (their Japanese name) is a tree name. They like nut of "Muku Tree". 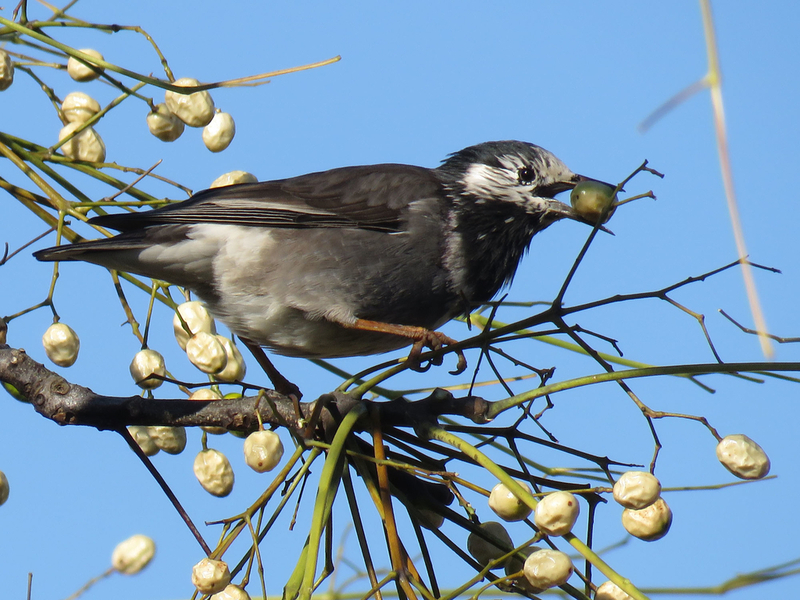 In addition, they eat various kinds of nuts as well as "Muku Tree". ↓ They eat nut of "センダン (Sendan)". Therefore, they drop droppings on the electric wire. It's means the seeds of various tree are spread from place to place of the city. They are useful bird that spread the green of city! White-check Starlings are sometimes treated as a harmful bird in the city. But, they have many charms and useful part. I'm happy if you will become interested in the charms of them.